The Volume One Gallery on March 19. 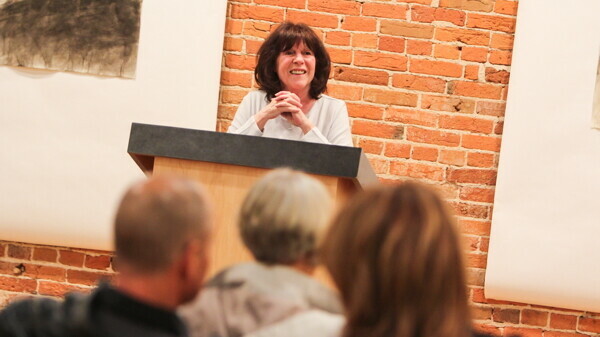 The gift of two books from an admired boss took Rebecca Oatman on a two-year journey to research and write her latest book that weaves history and fiction into a novel about six generations of a family in the Chippewa Valley. The books were Sawdust City and The River Flows On by Lois Barland, a late Eau Claire author well known for her historical research about Eau Claire and its residents. Her book is called On the Banks of the River. Its cover photo shows a scene of a bank on the Chippewa River, with the water flowing, just as the book’s pages trace the movement of a family through time. The first chapter begins with Wilhelm in 1865 and sets the stage for a divide in relationships that his heirs are left to contend with for generations. Each chapter is written from the perspective of a fictional character in his or her own voice. After Wilhelm, his brother Axel recalls his lumberjack days in 1874, then on to Wilhelm’s wife Mary in 1883, and other descendants through the years, roughly one per decade, to just before the 9/11 tragedy in 2001. All that history, primarily Eau Claire’s, took a lot of digging. Every historical fact in this book was checked, rechecked, and then checked again, using multiple sources to verify the same event. Rebecca also researched how people wrote in each period, including sentence structure and word choice, not to mention, people’s names, to ensure historical accuracy. The character who makes a choice in his life takes us back to Wilhelm. You’ll have to read the book to find out more, and while few could read this book in one night due to its length of almost 300 pages and the intriguing and winding plot, suffice to say his choice involves a child, a prostitute, and a murder. Yes, in Eau Claire. 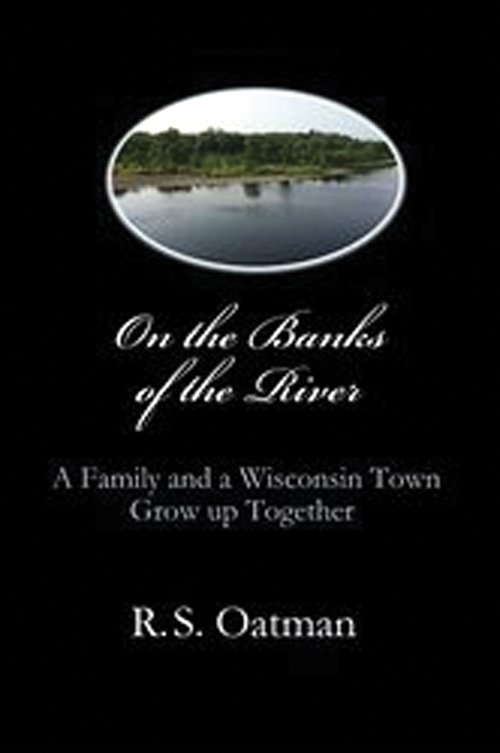 On the Banks of the River is available at The Local Store, 205 N. Dewey St., and in Kindle format on Amazon.com.